This upgraded Creekside has the phase 2 finished located near the park and a 3 car garage!!! Very few home sites were able to accommodate the three car garage in the Creekside neighborhood of Pine Canyon due to smaller lot sizes. The upgrade was 53,000 to add a 3rd bay garage. In addition the home features all the upgrades such as hard wood floor, stack rock fire place and travertine stone in bathroom showers/counters. The home has been gently lived in and in meticulous condition. Pine Canyon is a stunning 600+acre private golf course community adjacent to the Coconino Forest. PC offers high end amenities & impressive facilities. Directions: I-17 North to Lake Mary Road, Head east to JW Powell Blvd. North on JW Powell to guard gate on right side of street. Guard will direct you to home. Approximate size: 15682.00 sq. ft. 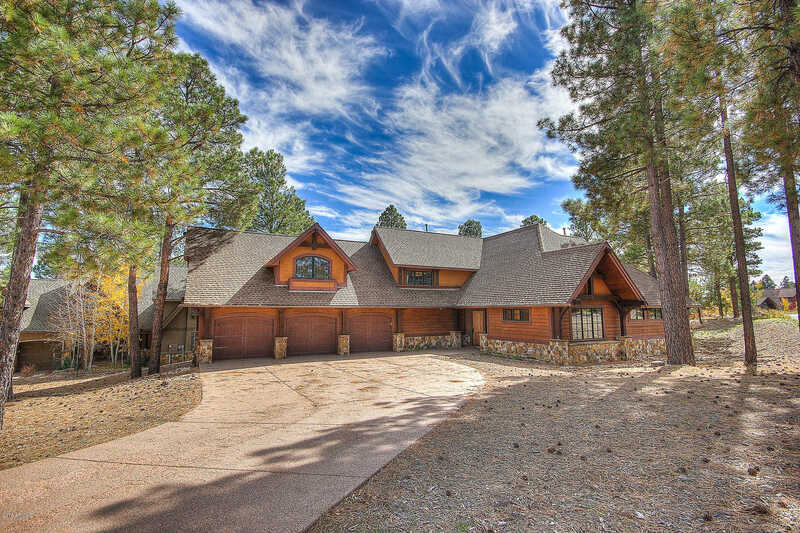 Please, send me more information on this property: MLS# 5907666 – $875,000 – 1725 E Mossy Oak Court, Flagstaff, AZ 86005. I would like to schedule a private showing for this property: MLS# 5907666 – $875,000 – 1725 E Mossy Oak Court, Flagstaff, AZ 86005.